Here you will find a list of Black Country based acts & entertainers that are available for you to book for your own Black Country festival event. Below the acts & entertainment section there is also a list of stands and food vendors. If you are/or are part of an act and would like to make yourself available for Festival Events or You have a stall/stand or food vending business, then please Click Here and we will add you to this page for event organisers to contact. the emptycan Black Country Folk/Rock Band Responsible for the official Black Country Anthem.The Empty Can are one of the Black Country's leading light's on the music scene.. Regularily selling out gigs across the region. Jess Silk is a guitarist, singer and songwriter from Kingswinford, Dudley. Jess gigs a lot around the Black Country and Birmingham and, in the summer of 2014, released her first solo EP Background Noise. Performing strictly as himself Richards performance of Rich sings Elvis' brings the songs of Elvis Presley to your venue. The original rock n' roll classics of the 50's through to the legendary songs of Vegas in the 70's. Robert has had 2 paper back novels published to date, with his books aiming to highlight the medieval heritage of our area through story. Roberts latest book Jack O Knaves' is an adventure set in medieval Dudley Castle. Robert is available for events to come & tell his bostin' stories ... complete with medieval gear. With a catalogue of self penned black country tunes & a mean turn at Sinatra & Buble, Gaz's gigs dow arf goo bostin! Local covers band, and you WILL recognise the songs we play, we put our own unique slant on all music, to give the No Strings Attached experience. 70 years Old Male Plays Guitar to accompany a 31 Years Old Girl Singer. We have all our own equipment P.A. Mic's, Amplifiers etc. and are looking to play and Raise Funds for Mary Stevens Hospice, Oldswinford. We provide costumes characters, live entertainment including singing and small scale pantomimes. The war, and 50/60/70s. Practically anything. One of the poets reading at the inaugural festival last year and would love to be involved again on the 11th of July. If you love your Rock music, this is the band for you , playing Rock music from the 60's up to present with our own twist and managing to play our music as well. We are all Black Country Lads on a mission. Ian Henery (www.ianhenerypoet.com) is a Bugle Ambassador for the Black Country Bugle and guest presenter on the Ommer & Chain Show on Black Country Community Radio. He performed at 5 different venues for the 2014 Black Country Festival to promote his book Wildfire Through Staffordshire by Mapseekers Archive Publishing. In 2014 alone he performed at over 100 open mic and poetry festivals. In 2015 he has published (through Thynks Publications) a brand new poetry collection entitled Black Country Blues with a foreword by Councillor Pete Lowe (Leader of Dudley MBC) with all proceeds going to The White House Cancer Support. Jo & Lazy Fellow is a country,blues & rockn'roll band travelling with their music all over the world. In last years they played on festivals and clubs in Belgium, Netherlands, Germany, Switzerland, Sweden and Poland. On BIGGEST Polish Country Festival they support Rosanne Cash ! Mainly they focus on playing their own songs. AMAZING vocalist,CRAZY guitar player and SOLID rhythm section is why You can't miss their show !!! They have been promoting wrestling events for 17 years in the borough. Circus Workshops and provide Balloon Modeling at Family fun days, Outdoor Events, Shopping Centers, Birthdays, Holiday Camps, Playgroups and Schools. This involves children having ago on anything from Plate Spinning, Diabolos and Juggling to Hula Hoops, Stilts and Balancing games. Deckchair Circus Rock Band Performing some of the greatest toe tapping drinking songs in history. If you are into bands like Stone Roses, Beatles, The Jam, Arctic Monkeys, Oasis, The Who, Rolling Stones and Black Keys, then maybe you're definitely gonna dig Deckchair Circus. Milestone Road 4 Peice Band Playing live since the end of October 2011 and we have played some local gigs & small music festival slots in the East & West Midlands & we would like to be considered for a gig at your festival as a support act. Beyond the Bay Indie Rock Band Hi we are Beyond the Bay, an upcoming indie rock band from Dudley, West Midlands. We have released our first single on Spotify and iTunes (link below to listen on Youtube), and have played some of Birmingham's best venues such as the O2 Academy and The Rainbow. Martin Huburn Stand Up Comedian Martin is a comedian from the heart of the Black Country, a town called Tipton. Tipton has built a reputation over the years for being rough and deprived and is in desperate need for a modern day hero. John Stranks Acoustic Singer/Songwriter I'm an unsigned local singer/songwriter with a large repertoire of original material and many cover versions in a variety of styles. Rachel Conlisk hula hoop circus/cabaret performer Hula hoop festval performance. in the circus and at community events and festivals- it would be fantastic to do it close to home. Please take a look at my website www.hoopsrock.com for video, photos and feedback! Amoeba Teen Band Stourbridge based four piece playing popular original songs, either acoustic or fully electric. who have built up a repertoire of traditional songs from the West Midlands. We are currently recording a CD of these, and wondered if we could offer a concert, and maybe the launch of the CD, providing we've finished it by then! We're very keen to be involved in the festival again. previous CD and photos by way of reference are available. Based in Kingswinford - we are the largest male voice choir in The Black Country - and we appear regularly in Dudley Town Hall - usually supporting local charities - which include the Mayor of Dudley's charities, Action Heart, The Georgian Ward Leukaemia Appeal, Friends of Alfie Johnson, Access in Dudley and many more. Stourbridge Rock Choir has been running since September 2012 and in that time has raised money for countless local and national charities including Mary Stevens Hospice, Brierley Hill Samaritans, Missing People, Young Minds, Macmillan Cancer Support, Nordoff Robbins and Crohns and Colitis UK. The choir performs regularly at a myriad of local events such as Race For Life and charity Christmas concerts as well as at larger events including those at Wembley Stadium, the Genting Arena and Birmingham's Symphony Hall. They have performed with celebrities including Toyah Wilcox, G4, Chesney Hawkes and Kiki Dee. In 2017 the choir took part in a workshop with The Sons Of Pitches, winners of Gareth Malone's "The Naked Choir" and a memorable recording session at the world famous Abbey Road Studios. We sing uplifting feel-good songs which span the decades from The Beatles to Adele so there is something for everyone! Rock Choir's uplifting ethos of fun, friendship and community spirit is a huge part of its attraction. It helps improve people's self-confidence, and gives them new singing skills, a dynamic new social life and a great sense of fulfilment. We are a very friendly, sociable group and new members are always welcome. Rehearsals take place at the Richardson Hall in Wordsley on Thursdays during term time from 8pm-9.30pm. See www.rockchoir.com to book a free taster session. Trio playing a Variety of Songs. Female Singer, Guitarist and Cajon player. Strictly Bueno! is fronted by Tanya from Dudley. She has an eclectic taste in music which has influenced her singing over the years. Her influences and wide repertoire include DORIS DAY, VERA LYNN, THE BEATLES, BOB MARLEY, ELLA FITZGERALD, LOUIS ARMSTRONG, ELVIS PRESLEY, EVA CASSIDY, CONNIE FRANCIS, FRANK SINATRA, BEYONCE, ZARA LARSSON, SAM SMITH, SHAWN MENDES, DUSTY SPRINGFIELD, DIONNE WARWICK, RITA ORA, ALL SAINTS, JUSTIN BIEBER, ED SHEERAN, DUA LIPA and EMILIE SANDE to name a few! Having performed at OH festival in 2018 & having had a great response. Jewels Academy Team would like to know if there are any events that would be happy to have us set up a rig and put on some circus entertainment and workshops. We want to spread circus as much as we can in the community and I think these events are perfect for it. Checkout the link below to see some footage from OH festival last year. We are an established 5 piece electro indie band from Wolverhampton with a sound similar to Joy Division/New Order. We have toured the UK supporting the Twang and played festivals in Europe. We would love to get an opportunity to play a festival in our home town where we have amazing support. I am a BBC Introducing Birmingham based singer songwriter (Folk, Blues, Soul, Funk, Reggae). We consist of a 3 piece band (vocal, guitar and bass), performing original songs and a few covers. We also perform acoustic sets too if that's preferable. We've played at several UK venues and festivals previously and we would love the opportunity to perform at this marvellous festival. Here is a link to my website where you can check out my gig history, music videos, and social links on Spotify & ITunes etc. 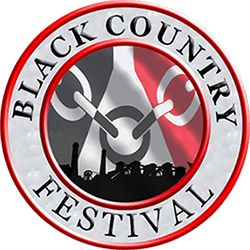 If you like our material, please let me know If you would be interested in having us perform at the Black Country festival. 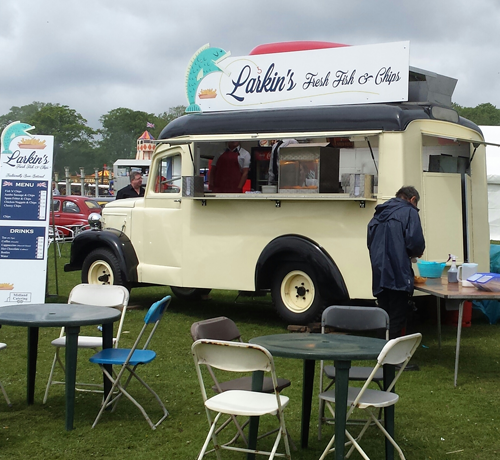 1951 morris ambulance converted into catering unit. Sells burgers hotdogs chips along with hot n cold drinks. OR fresh fish n chips in beer batter.